The Class X Board Examination is an important exam which determines what stream you will choose in your 11th and that ultimately decide your career path. Your career path will be shaped according to the 10th results. It decides the future prospects so it is quite important to prepare for the board exams so that best marks can be gained. 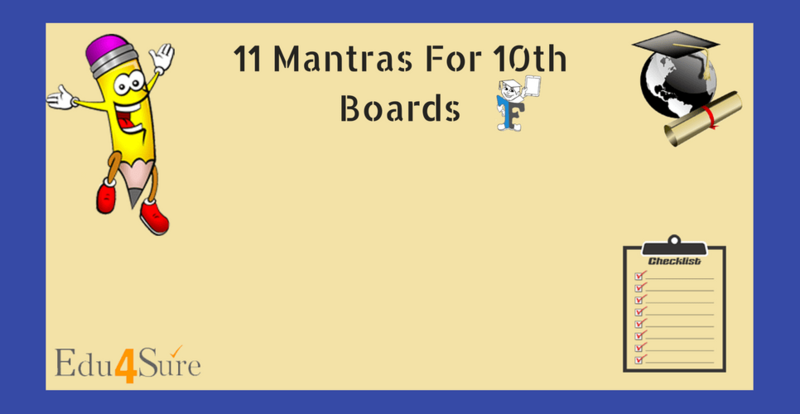 As the 10th board is quite important in any students life it also creates a lot of pressure and stress on both the children and parents. Although the preparations are going fine, students feel like they won’t be able to make it. They just need to concentrate, focus and study hard to score well and few strategies to work on. Our education system is like that we are hardly aware of the full syllabus. Students are used to following the teachers like they have done for whole 10 years in their life but in class, the 10th situation becomes a bit different as there is teachers don’t know what will come and how it will be asked. In CBSE, NCERTs are the prescribed books which are needed to be followed for class 10th studies. But NCERTs only provides the guidelines you have to take the deep knowledge of the particular topics given in them. And in ICSE board there are no prescribed books the only syllabus is defined. Consult your teachers about the prescribed syllabus. Try to have a good understanding of the topics and make your concepts clear. Try to follow a systematic manner try to learn your class lessons properly so that you can cover the syllabus in time. These class lessons are the first introduction to the topics for you. Try to revise everything, every day so that you can have a record of what you have covered. In case of any confusions try to clear it with your teachers the next day. Sample paper provides a clear insight into the format of the examination. There are samples papers which also provide previous years question papers too. Previous year’s question paper gives a fair idea of the exam pattern. When you solve them you revise the entire syllabus as these question papers cover the entire syllabus. Also solved question paper will give the idea what length of the answer is needed for the given question. To prepare for the examination, you need to find a quiet corner of the home, so as to study in peace and calm so that you can prepare comprehensively for the examination. Make sure that you are away from any kind of electronic gadget, be it television or mobile phone as you start your preparations for the upcoming examination. Electronic gadgets provide you with a distraction and your valuable time of studies will get wasted. Try to jot down important notes, quotes, and formulae that you come across during your studies. This will help you in an accumulation of the topic at one place and this will help you in the exams as you can just take the subject notebook and revise the portions you want. Highlight the important points and formulae on textbooks and the reference books so that you can locate them easily. Revise the points from time to time to keep them in mind. Prepare a timetable for board exam preparation and allocate sufficient time for each subject. Choose the time that you think is good for study. It can be early in the morning, daytime or at night whichever suits you. Do not allow distractions to disturb your studies. Polish your strengths and try to work on your weaknesses. Concentrate to improve your weaknesses. Take help from your teachers and elders. Do not start with anything new just before exams, this creates confusion. Revise what you have already studied. Revision is the key to success. This helps in boosting your confidence that you have studies the whole syllabus now you just need to attempt the examination. Chalk out a plan in such a way that there is sufficient way to revise everything. Don’t stress your body, eat healthily and take sufficient rest. Make sure you are also spending some time on refreshing yourself so that your mind can have rest from hectic schedules of studies. Dedicate some hours for studies from the very beginning do not leave everything till the very end. This will put you in the pressure and stress you out in the last days which will affect your results badly. This is a high-scoring subject. Study the reactions and learn them properly. Clear all the concept because questions are never direct they are asked based on the concept. This is the highest scoring subject, many students bag down a cent in this one. If your concepts are clear you can achieve really well in mathematics. History is a subject which requires lots of learning as you have to remember dates and events. So you need to read it, memorize and remember the events, names, periods, and dates of occurrences. You need to revise it from time to time so that you don’t forget it. Maps are an important part of geography practice placing things on maps a lot. Remember the names of places and what they are famous for these are the extensive questions in geography. Reach the examination hall on reporting time. 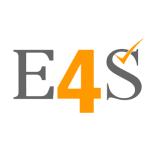 Ensure that you have the important documents such as admit card etc. with you. Locate your seat and settle down comfortably, keeping everything in place. Read the questions carefully, as any silly mistake of understanding the question can be damaging for you. It is better to solve those questions that you are more confident with, instead of wasting time with the difficult ones. Do not waste time if you get stuck on a question. Move forward with the others. Once the easier and moderate ones are done with, attempt the relatively tougher ones if you have the time. These are just a few ways to prepare for board exams, hope these will help you in achieving good grades in 10th.